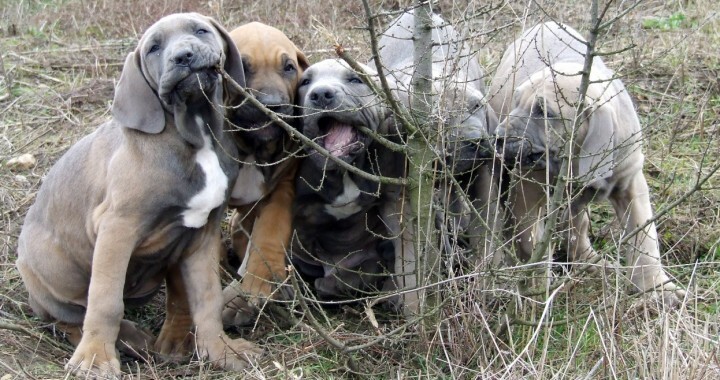 Raising Fila Brasileiro puppies may not seem as an easy task – there is no book or guide you can look up to – but in reality this isn’t so hard. Every Fila puppy is unique and requires dedication and constant effort. First or most important thing in raising your Fila Brasileiro puppy is to let them enjoy their puppyhood: love him or her, cuddle and feel your puppy – so you will easily understand its needs. What every little Fila needs to learn are good common sense and manners. Socializing Fila Brasileiro puppies can be as easy as letting your dog accompany you wherever you go. Try not to restrain its temperament but to give it proper limits. Exposing your dog to all kind of different situations and people earlier in life (desensitization to external environmental stimuli) definitely makes a difference if you live in the city and/or want to take your dog to the dog shows when it is grown up. It is fair to say that some Fila puppies mean more work. 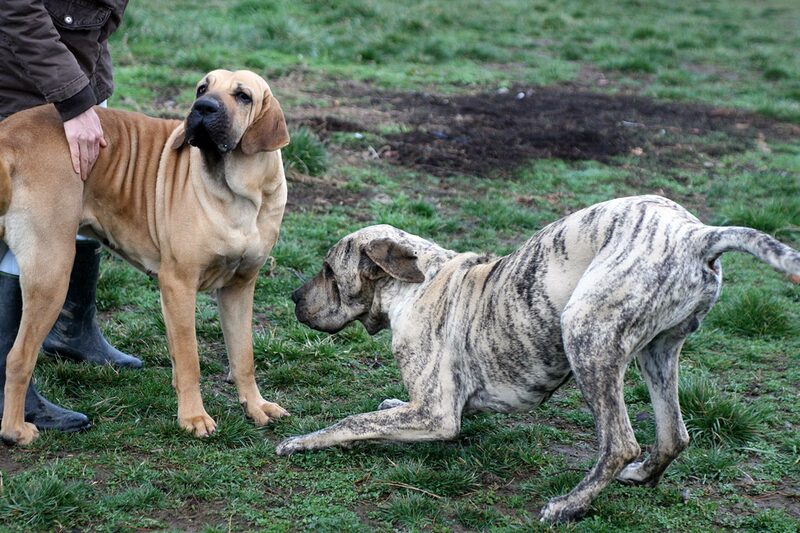 This being said… you shouldn’t take Fila Brasileiro if you don’t mean to spend time with the dog. We have different experiences with our own Filas. Jenaro was showing ojeriza from his earliest age. He was only two months old, traveling from place he was born to his new home, when he growled and barked from his transport bag at everyone who entered the train. On another occasion while still a baby Jenaro felt asleep in lap of our friend whom he knew. But right after waking Jenaro was instantly ready to bite him since from Jenaro’s perspective he woke up in the strangers lap. Jenaro is full of energy and equally intolerant to everything he doesn’t consider his family. He shows strong and steady ojeriza. 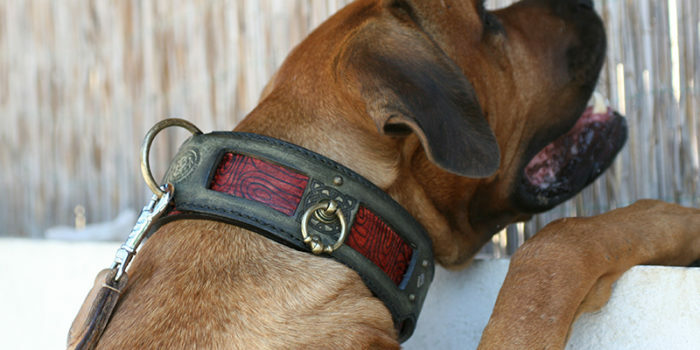 But Jenaro is the most playful and cuddly dog – a charming side of his passion displayed in the inner family circle. For 15 months Ama was from our side continously exposed to many different situations and challenges (while traveling along us from her 3rd to 18th month). This practise resulted in Ama being incredibly well balanced in her appearance and temperamentwise. When traveling she is relaxed in the car, and alert when out. Ama guards us vigilantly every second. Interesting how she may even seem like a friendly dog in certain situations and let you come near. But in reality Ama is always observing and evaluating the situation and is ready to protect us promptly if needed.